Green Andruschuk LLP; Experienced. Established. Professional. 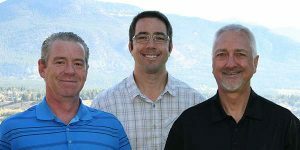 Green Andruschuk LLP, Chartered Professional Accountants located in the Columbia Valley is the largest public accounting office in Invermere, B.C. They have been serving and advising clients in the Columbia Valley since 1964. They offer accounting and tax expertise and counsel, business advice and a commitment to personalized service.